Thanks to a brief trip home to the UK and some recent minor political shenanigans here, there hasn’t really been an opportunity to get back on the Brazilian beer trail. However, having read and written about just as much as I can about Brazilian politics over the past week or so here’s my latest beer find – think of it as my gift to you to distract you from current events. To be frank, drink more than few of these bad boys and you won’t give a damn about anything else going on around you. Don’t say I didn’t warn you. Where purchased: Bourbon Shopping (Barra Funda, São Paulo). 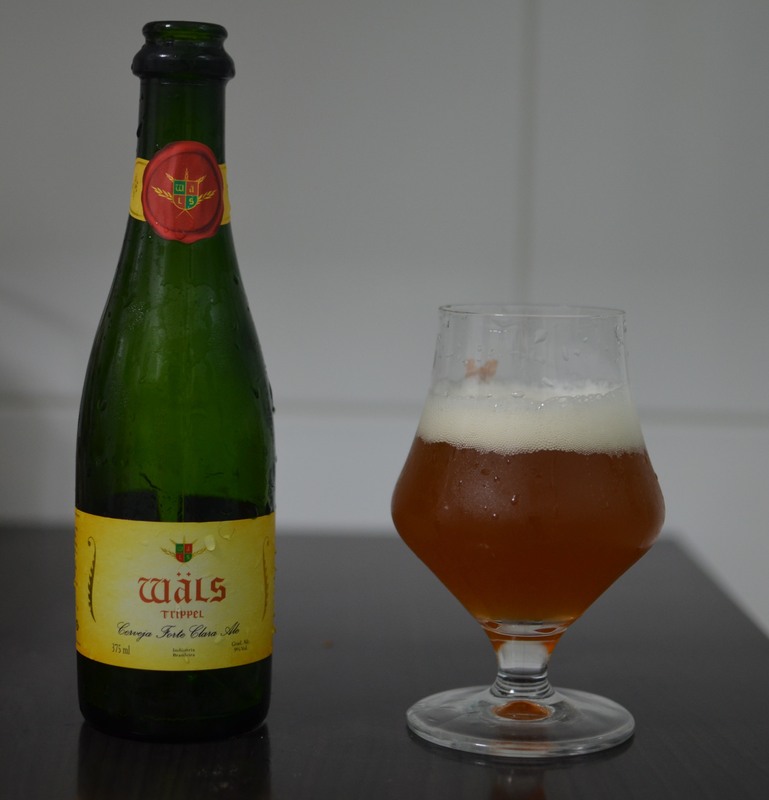 Background: The Wäls Brewery was founded in November 1999 in the Pampulha area of Belo Horizonte in Minas Gerais. Wäls produce beers that they like to call ‘works of art’ that are inspired by traditional brewers in Belgium and the Czech Republic. Having had recommendations from commentators on my previous posts about Brazilian beer I was quite excited when I found this in the supermarket – although slightly poorer given the price tag. The fact that it had also won the gold medal in its category (Belgian-Style Tripel) at the Brazilian Beer Awards 2013 was also very promising. Aesthetically, the first thing that strikes you about it is that it comes in a champagne type bottle, complete with champagne cork and metal wiring to keep it in place (so that’s where my extra few Reals went). Belgian Tripels are typically strong ales that are pale in colour and have a good hop taste, and this one definitely doesn’t disappoint. It poured a slightly cloudy golden amber colour and formed a nice frothy white head. As for the taste it has a distinctly hoppy, citrus flavour / aroma and this does a pretty good job of concealing the fact that it is a ball-busting 9%. All in all, this is a very tasty drink, but be careful your night may get messy. the book is on the table’s Verdict: Definitely at the top end of the Brazilian beer market although without doubt you get what you pay for – both in terms of alcohol content and flavour. However, being the same price as many imported beers it may not become a regular purchase.